They say travel is the only thing you can buy that makes you richer… because how can you put a price tag on priceless experiences? But that doesn’t mean you can’t be savvy when planning your trips and staycations! 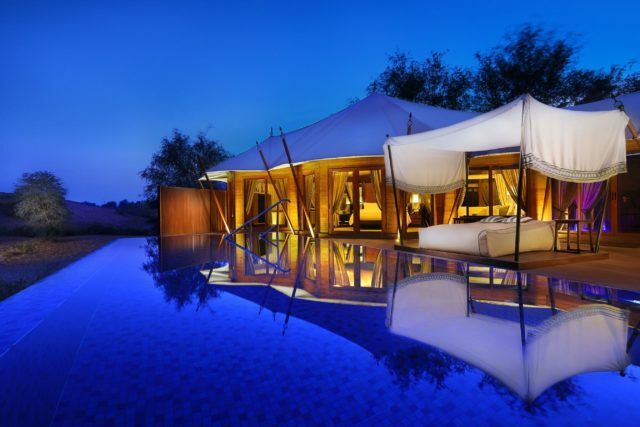 If you love getting more bang for your buck — like spending less on hotels and more on creating unforgettable memories — it’s time to pull out your Mastercard because they’re offering complimentary nights at over 200 hotels and resorts. 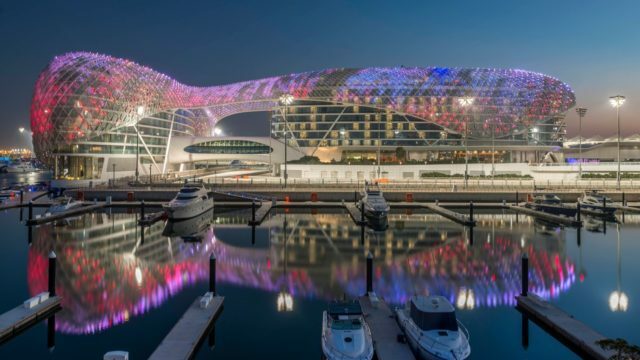 Want to spend the night at a Formula 1 race track? Relax in a mountain retreat? Wake up with the Great Pyramids? Your Mastercard is the definition of ‘travel perks’! Because we’ve got a weakness for awesome hotels, we’ve rounded up 7 of our favorites you can book with this offer. Why haven’t you started packing, yet?! Pair the cheap daily flights to Beirut with Mastercard’s free nights at Grand Hills… and you’ve got an easy weekend getaway! 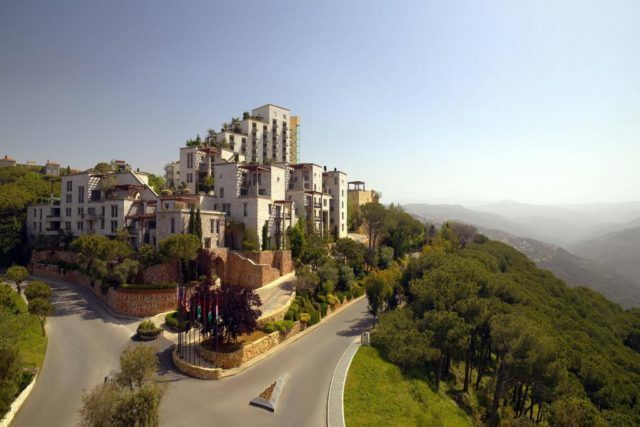 This luxury hotel in Lebanon’s mountains is like something out of a fairytale with nature views in every direction. And with Beirut’s restaurants and nightlife only 30 minutes away, you get to enjoy the best of both worlds. Want to stay on the Palm without breaking your budget? 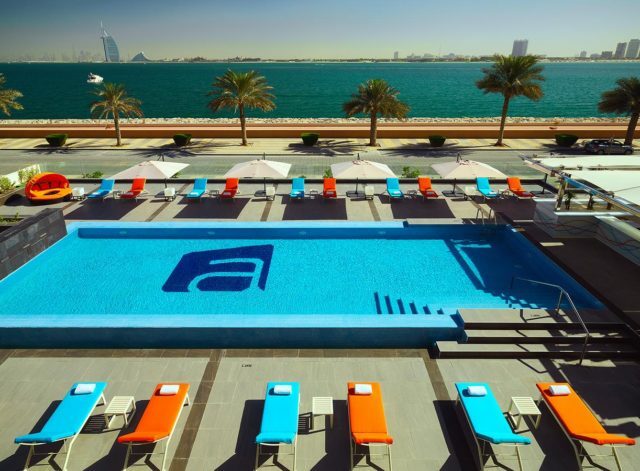 Enjoy free nights at Aloft Palm Jumeirah where you’ll spend your days lounging by the pool and dining at its rooftop restaurant with endless vistas of the Arabian Gulf. Bring the kids along for a family staycay that’s close to home. 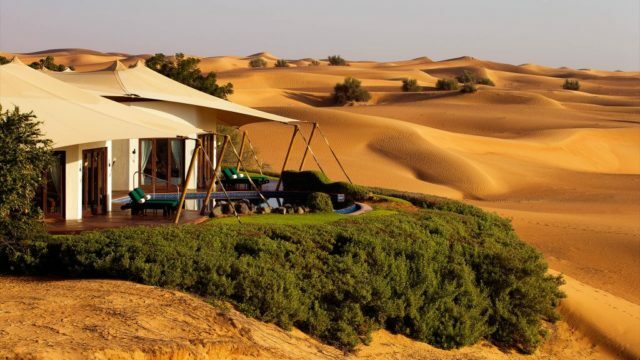 Imagine waking up to the Great Pyramids — right on your doorstep! 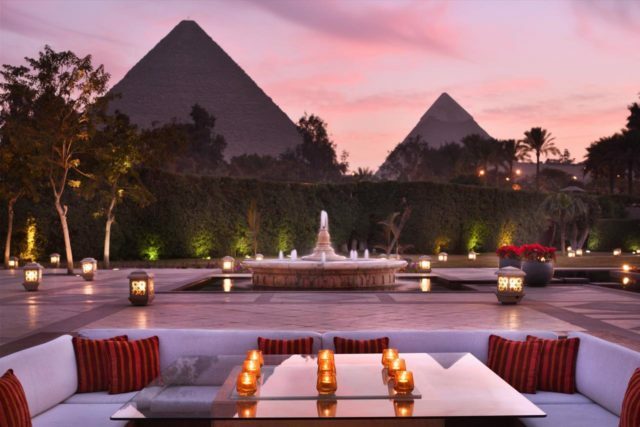 At Marriott Mena House in Cairo, you’ll get a front row seat to the world’s most famous ancient wonder… not a bad place to enjoy your morning coffee, right?! 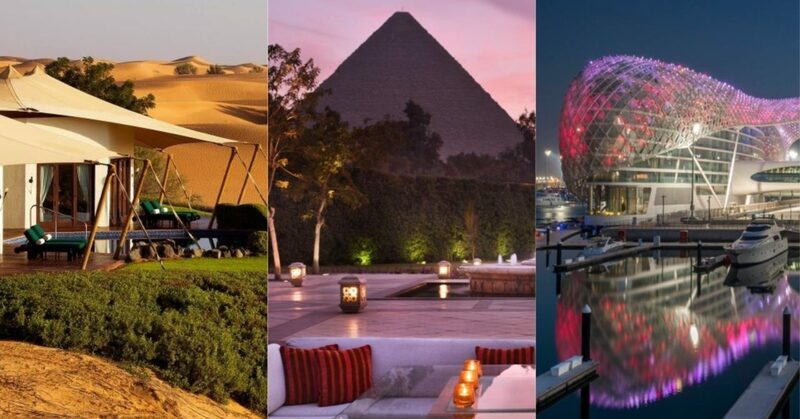 With cheap direct flights to Egypt — not to mention complimentary nights with your Mastercard – you’ve got more time to explore one of the world’s most fascinating places. A flight to Jordan is only 3 hours away, so if you’re in need of the ultimate spa weekend, it’s hard to top the Dead Sea Marriott Resort & Spa in Jordan. Nestled on the shores of the iconic Dead Sea, bathe in mineral-rich mud for an experience that should be on every travel junkie’s bucket list. We think it’s time to try some new priceless experiences… what are you waiting for? !